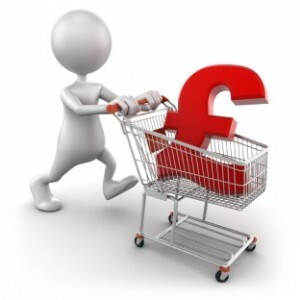 We are constantly being told to shop around for the best deal in many different areas of our lives, for instance, switching to a different electricity supplier due to the market dominance of the big energy companies is a constant call in the papers and on the television. And when it comes to business, the same applies since there are likely to be big variations in many of your day-to-day costs. Farmers, for example, would be unlikely to place an order for fertiliser without getting an idea of what the main players in the market were offering. For those considering a change of bank – perhaps you have approached your bank to fund a new enterprise and have been unsuccessful in securing the funds, or you no longer have the relationship with your bank that you would wish – the good news is that switching current accounts has got easier since a new service was introduced in September 2013, meaning that all direct debits, etc., should be transferred within 7 working days. The overall cost of moving banks, not just the headline lending rates. It is important to get the bank to set out all the fees and charges, as what may look like a cheaper option is in fact more costly because of all the extras. For those seeking loan facilities, consider how the need to repay the existing facility will impact cash flow – lenders may have penalty clauses for early repayments of loans. Instead of trying to get the biggest overdraft, consider putting some of it on a loan, as with a loan you are only paying one arrangement fee, but with an overdraft there will be an annual renewal fee. The small print: watch out for conditions such as covenants that impose performance conditions on the borrower’s business, as failure to meet these requirements can result in the facility being withdrawn. The infrastructure and support of any new bank – does it have the resources/systems of other banks? Can you bank online with it? What is the branch structure like? Who would you be dealing with? What are the experiences of other farmers who bank there? If your business handles a lot of cash, what are the practicalities of this with a new lender? Ensuring that deeds and related documents such as deeds and tenancy agreements are in order and to hand so that the provision of security is straightforward and delays to the switch will be kept to a minimum. It is worth remembering that if you have a solid business, there will be competition for your banking custom and you may be able to negotiate. Inform RPA to ensure that SFP payment is received on time. Keep an eye on tax and VAT payments, as well as one-off payments, such as life assurance. Be aware of anything that may impact your credit rating if it is not paid on time. To avoid this, consider keeping the old account open for a few months with a contingency fund. Here at Green and Co we have a lot of experience regarding farming businesses. Please contact us if you need any more information. Next Next post: Renewable Energy: Beware The IHT Implications!